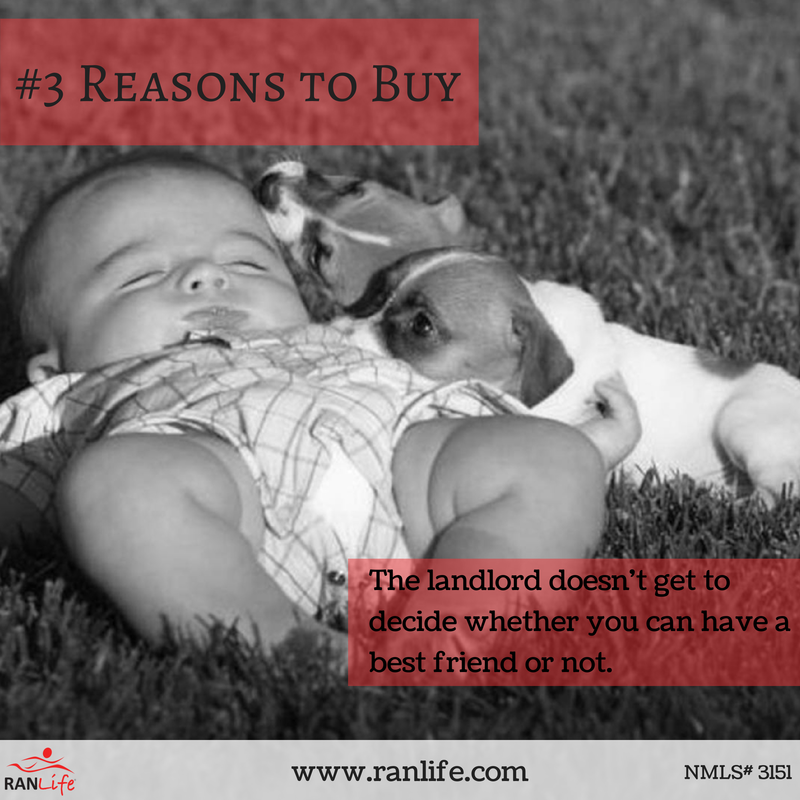 We are bringing you 26 reasons to buy a home and this week is reason #3. One of the most common frustrations between renters and landlords are pets. Finding a good home to rent that actually allows pets and doesn't cost an arm and a leg is hard to do. A lot of the times, renters are forced to give up their pets or find temporary homes for them while they rent. The solution to all of this, owning your own home. That way, no one else get's to decide whether you can have an extra member of your family or not. To view all 26 Reasons to Buy a Home, please click here.